Castelmagno is the king of the Piedmontese cheeses and it's been produced since at least the 12th century, even though the first records date back to 1277. It takes its name from the municipality in the Grana Valley, located in the Cuneo province in SW Piedmont, where it's produced. This is an amazing cheese, covered in a wrinkly and brownish rind and with an ivory creamy interior. Its paste is dense and crumbly and its mild flavor gains power as it ages, becoming sharper and spicier. 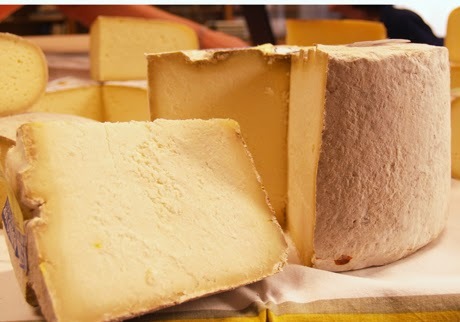 Castelmagno is a semi-hard half-fat cheese, produced from whole cow's milk. 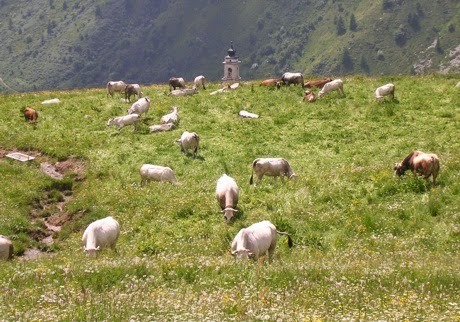 Sometimes goat or sheep milk can be added too but, as per Italian law, the cow's milk must be only from Piedmontese cows raised in the DOP (Protected Designation of Origin) municipalities and they can only be fed fresh pasture and hay. Its crumbly, dense or grainy texture make it hard to be appreciated at first by the cheese novice, but it actually make it a versatile cheese! 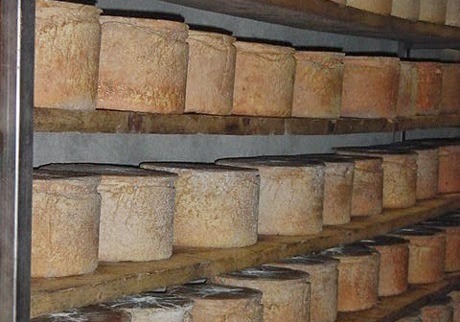 Castelmagno doesn't have holes, the curds are drained for 1-2 days before being molded to make the traditional wheel. After 6 days, the wheels are taken out of the molds and dry-salted from 2 day up to a month. Then the wheels age for 2-5 months, in naturally cool and damp caves. As it ages, various molds develop on both the rind and the ivory paste, giving it a blueish vein pattern. This is why Castelmagno has also been classified as a blue cheese. It got the DOP certification in 1997. 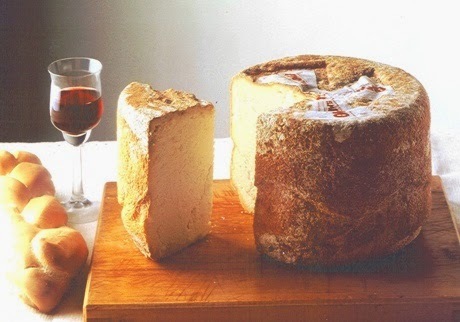 Castelmagno became the king of Piedmontese cheeses in 1800 but later, due to the wars, it lost its shine. Nowadays, it's an endangered cheese because there aren't many cheese makers who produce it anymore, however, it's a very flexible cheese and it can be incorporated into many different dishes. It can easily be eaten on its own with some bread, but adding some nuts or honey, and especially wine really exalt it: its natural dryness becomes a thick aromatic mix and its original tartness becomes citrusy and nutty. In fact, you can almost detect the herbs and the flowers the cows were fed on. From fondue to pasta dishes, risotto and potato gnocchi, to polenta, grilled vegetables and in thin scales over raw beef carpaccio, Castelmagno always harmonizes the table. As for the wine, any Piedmont wine will perfectly match it but Nebbiolo and Barbaresco won't overpower its herbal and nutty scents. Castelmagno cheese got its name from a Roman soldier who became a Christian martyr. 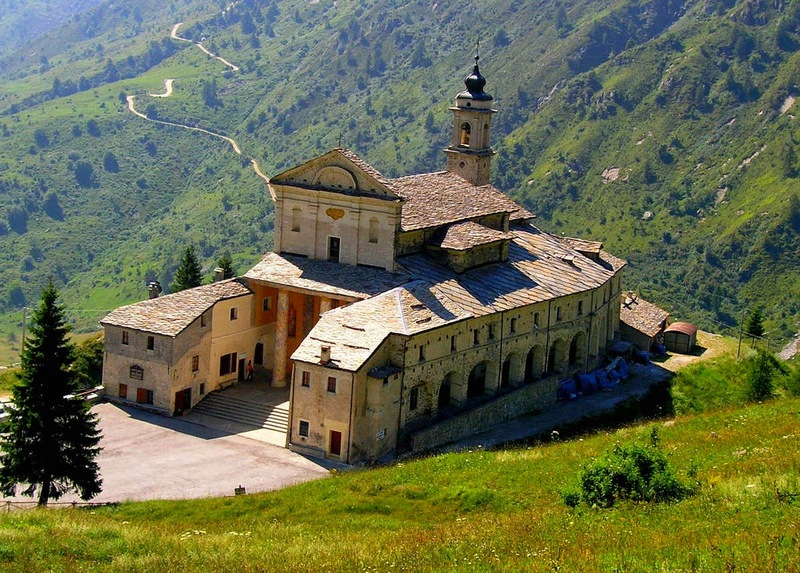 Castelmagno is also the name of the area where the cheese is produced where there is a sanctuary dedicated to Saint Magnus (San Magno) the Saint patron of cattle and pastures as they were the main economical source in the past.